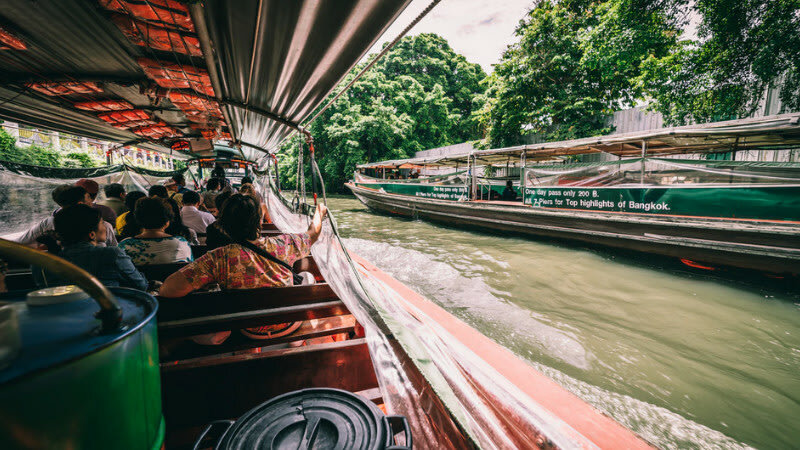 Let’s face it, a trip to Bangkok (or any part of Thailand, rather) wouldn’t be complete without visiting at least one massage or spa parlour. Afterall, we all go on trips to relax right? With the abundance of parlours located all around, it can sometimes be difficult picking the right one. From traditional Thai Massages and Reflexology treatments to Herbal Compresses and even Onsens, here’s your ultimate guide to the best massage and spas in the land of smiles. Read on to find out the best spas for your wallet size. Can't find the time to plan a trip to Japan to enjoy the onsens? Well, lucky for you, if you're going to be in Bangkok, you can enjoy the same onsen experience! World famous for its amazing service, relax and unwind at the Let's Relax Onsen and Spa. Soak your troubles away right in the heart of Bangkok! The best part is you can stay in the onsen for as long as you like! Klook your tickets for a relaxing onsen experience that won't burn a hole in your wallets! Just flash your mobile voucher and you're all set! Put your bodies at ease at the Health Land Spa! After all that shopping and exploring, your muscles will be thankful for a long massage! Pamper yourself with a traditional Thai full body massage for the ultimate relaxation- utilizing Thai self-care expertise, it will surely leave you feeling brand new! If massages are not for you, they also have body polishes for you to exfoliate all that dead skin, leaving you smooth and supple! Klook your Health Land Spa experience and you can visit any day you like since tickets are open-dated, making it the best wet weather plan! Indulge in a world class spa experience and soothe your aches from life's daily hustle. Located conveniently at Centara Watergate Pavillion, this is a great pit stop to take before heading to the Talad Neon night market for more shopping and eating! We know how hot and humid Bangkok can get and there's no better way to look after yourself than with a Tropical Skin Ritual. Enjoy a foot ritual, mango body scrub, aromatherapy massage and a face massage or what we'd like to call 120 minutes of heaven! Utilizing organic Thai products, enjoy the ultimate zen experience in Divana Spa! Achieve tranquility as the experienced therapists work their magic using only indigenious ingredients and of course, their oriental healing wisdom. Klook your Divana Spa package and enjoy a free pick up from Thong Lor BTS station! You'll also get a complimentary welcome and post treatment drink. Located right in the heart of Bangkok, take a break from the city at one of the city's best rated spas- So Thai Spa. Choose from a myriad of their famous spa treatments like the classic Aromatherapy massage or even a jet lag massage after a long plane ride cramped in tiny seats. They also have a facial massage which can brighten your skin and give you better complexion! Klook your So Thai Spa experience, show your mobile e-voucher and get ready for your troubles to melt away in the hands of the professionals! Give yourself a break from the hustle and bustle of daily life and escape from the pulsating city of Bangkok in Oasis Spa! From the classic Thai massages to foot reflexology and even a royal Thai facial, just one hour there and you'll be left refreshed and reenergized the whole day. Klook yourself an Oasis Spa experience and it even comes with a free hotel pick up, whisking you away to a luxurious afternoon ahead. After walking through the busy and scorching streets of the Chatuchak market, the best way to cool down and rest is with a spa treatment! Cense Spa is conveniently located at Central Plaza Ladprao, just a stone's throw away from the market. We'd recommend the Feet Treat after all that walking. Did we mention you'll also get to enjoy fruit juice, snacks and a herbal drink after your treatment? Many of us flock to Platinum Shopping Mall to get our hauls in Bangkok and we all know how tiring combing through those rows of stalls can be. Head over to Spa Cenvaree at CentralWorld after you've completed your shopping and let the professionals ease your aches. Opt for the Cenvaree Experience which includes a Foot Ritual, 7 miracle grains body scrub and a royal Thai massage! If this doesn't sound like 120 mins of pure bliss we don't know what will. Nothing spells luxury like diamonds. At Away Spa, you can enjoy their signature diamond powder treatment which will purify your skin and leave it softer and cleaner than it's ever been! Using only organic Kerstin Florian products, you can be sure that your skin is in great hands! Klook your tickets for the same luxurious experience but at a smaller price tag. The Diamonds Are Forever treatment includes a 30 minute diamond body scrub, 30 minute diamond body wrap as well as a 60 minute diamond massage. There is no better way to relax than to float in a pod of water, similar to your infant gestation days. Afterall, not all of us are comforable with the human touch. Be in perfect silence and isolation away from all the worries of the world as you lay back and relax in your own personal pod. You'll have the ultimate alone time experience, completely free from outside noise. This might sound initimidating if you've never tried it before, but don't worry! All first-timers will be given an orientation to get accustomed to being in the pod. Klook your float experience, flash your mobile e-voucher and float your worries away! Stay connected wherever you are with a 4G WiFi device! Plus, you'll also get to show off your amazing holiday on Instagram stories. Plus, it allows connection of up to 10 devices so share it with your travel buddies and split the cost. 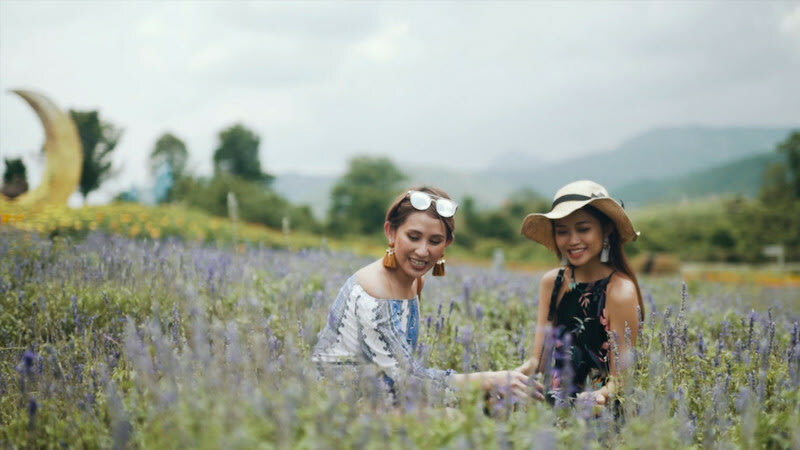 Escape from the hustle of city life in Khao Yai! The picturesque city home to quirky European villages and Thailand's biggest national park where wild elephants roam free! Klook yourself a Khao Yai custom tour from Bangkok for a hassle free escape!